In the valley of decision, I hear the Father saying, “There’s only one choice!” It’s time to rally together and find a unified voice as heirs of the Kingdom. In this season of confusion and division, we are to choose LIFE! Where the Spirit of Death is hovering over this nation, the Father is calling for the sons and daughters to rise up to speak life, liberty, and the pursuit of His pleasure. The hour is upon us to be one; fully joined to the Head and to one another. Various ideologies and interpretations of the times are causing strife and disorder. 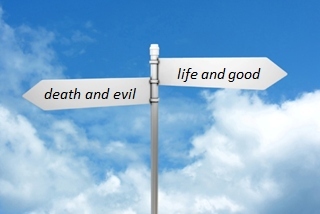 The dividing line, however, is not between “left” or “right”, but between LIFE or DEATH. The life of this nation is hanging in the balance and it is only the cry of a unified Body that carries the weight to tip the scales. The spirit of abortion, the corruption of godly values, and the increased Anti-Christ Spirit all seek to kill, steal and destroy the kingdom authority from the family of God. As sons and daughters of a royal household, we have been given access and authority to sway the courts of heaven. For those who might long for a “miracle rescue”, though the Father could do this, it is not His purpose to rescue us, but rather to empower us to rise up together as one. THIS is the Father’s pleasure – the Father’s joy – that we might have the same mind, the same love, and intent on one purpose – to bring LIFE. It is His purpose to mature us as His children in order to demonstrate the power of oneness in HIM. As enemies of the Kingdom stir up dissension and muddy the waters of decision, it is the oneness in God’s House that will ultimately change the White House. Where variations and misrepresentations of truth try to divide and distract us from His purposes, we must agree to choose LIFE in this hour. We must choose freedom from ingrained ideologies and systems of control that are vying for our minds and hearts. There is a corporate anointing and a momentum of His Spirit that are available to those who choose LIFE. “For with you is the fountain of life; in your light do we see light.” (Psalm 36:9, ESV) As we move together as a unified body, His light will increase and even creation will come back to life. There’s only one choice in this hour – choose LIFE.